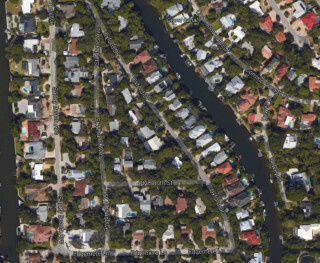 With reports of Siesta homes having been egged over the last weekend in January, the Sarasota County Sheriff’s Office is searching for two perpetrators described as possibly 15 or 16 years of age, Sgt. 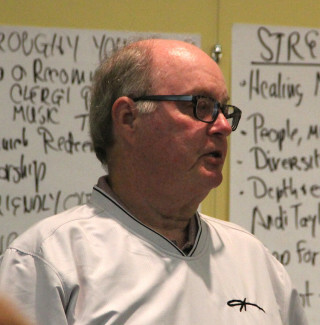 Jason Mruczek told about 70 members of the Siesta Key Association (SKA) during their regular meeting on Feb. 4. The incidents were reported to have occurred about 9:15 p.m. on Saint Albans Avenue and Oxford Drive, he noted. Shortly before 9 p.m. on Jan. 30, the report filed with the Sheriff’s Office says, two suspects appearing to be juveniles “bought about $45 worth of eggs from Morton’s Market at 205 Canal Road” in Siesta Village. One homeowner contacted the department on behalf of herself and another person, the report points out. The victim told the Sheriff’s Office that eggs were thrown at the front doors of both residences. The person who contacted the department added that the suspects “must have walked onto her driveway given the position of her front door,” because her surveillance cameras did not record their images. Mruczek told the SKA audience that officers had obtained surveillance video from the market and planned to show it to Sarasota County school resource officers, who know “all the problem children.” They hope to put names to the faces. He added that he felt good about the chances of catching the teens. The Sheriff’s Office report notes that after the suspects left the market, they climbed into a vehicle that was driven by another juvenile. That appeared to be a newer model Jeep Wrangler, Mruczek told the SKA members, and it looked as though it were dark blue. Another call about egging was investigated on Feb. 8, Sheriff’s Office records show. Wendy Rose, community affairs manager for the office, provided The Sarasota News Leader a case card showing that the latest incident was also on Oxford Drive. Deputy Brandon Clark investigated it, but he had not filed a report by the News Leader’s deadline this week. Mruczek reminded all those at the SKA meeting not to hesitate to contact the Sheriff’s Office if they observe a vehicle driving unusually slowly up and down streets in a neighborhood. The non-emergency number is 316-1201. However, he said a person should not refrain from calling 911 with concerns about suspicious people or cars. 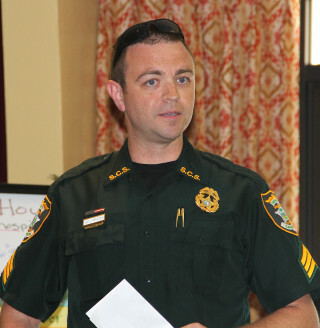 In an unrelated matter, Mruczek noted that the department is preparing to put more deputies on patrol on the island, as the annual influx of students on spring break gets under way. When Mruczek asked whether anyone had questions for him, one male audience member pointed out that “all the gawkers” who came to Siesta to look at the damage from the Jan. 17 tornado impeded traffic, including emergency responders. The man conceded that “tornadoes are not frequent here,” but he asked whether the Sheriff’s Office planned to close roads to outside traffic if such an event occurs again. Several of the 12 deputies who worked on the island in the storm’s aftermath directed traffic, Mruczek added. Still, “it’s very rare for something like [a tornado touching down] to happen [on Siesta Key],” he pointed out. The U.S. Coast Guard has issued a Notice to Mariners that, starting approximately on Feb. 15, Weeks Marine of Covington, LA, will begin mobilizing support equipment in Sarasota Bay, with barges anchored just southwest of Bird Key, as it prepares to dredge 690,000 cubic yards of sand for the renourishment of 2 miles of South Siesta beach. 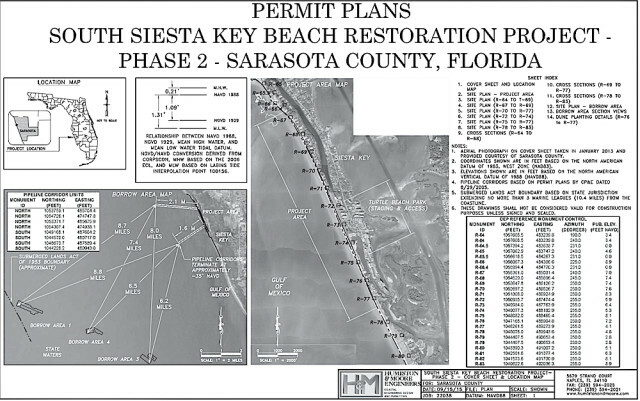 Weeks Marine was the only bidder for the South Siesta Renourishment Project. The County Commission awarded it the $18,101,737.50 contract in December 2015. The total cost of the project is $21.5 million. Property owners in the affected area will be assessed $3,536,237, beginning in the 2018 fiscal year, to help cover the expense. Another $11,215,500.50 came from Tourist Development Tax revenue. The first nourishment on south Siesta beach was completed in 2007. The latest project includes planting about 1.1 acres of native dune vegetation to replace what has been lost since in recent years. 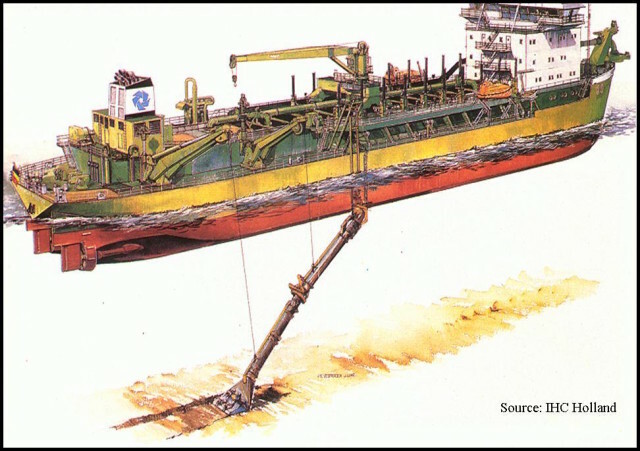 A drawing shows how a dredge hopper works. Image courtesy Carteret County Government, N.C. The Notice to Mariners adds that the dredge pipeline will be located offshore of Siesta Public Beach “and submerged into the southern pipeline corridor,” bound by coordinates the Coast Guard provided. 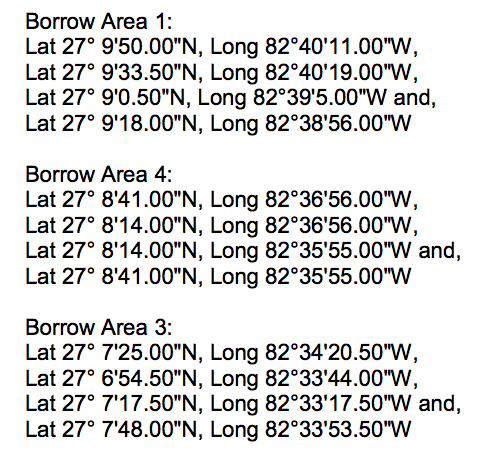 The notice continues, “A single point mooring/discharge connection will be approximately 7,500 feet off the shore of the renourishment site.” On the seaward end of that connection “will be a ball connection attached to 300 feet of floating rubber discharge hose that will be attached to the submerged pipeline,” the notice adds. “[T]he entire connection and assembly will be out of the navigation channel,” it says. Hopper dredges R.N. Weeks and B.E. Lindholm are expected to arrive as early as March 1, and the dredging will commence soon afterward, the notice continues. The dredge material will be pumped to the beach through a combination of floating and submerged pipelines, the notice adds. Once the dredging gets under way, the notice says, it will continue 24 hours a day, seven days a week. It is expected to conclude around April 15, the notice points out. 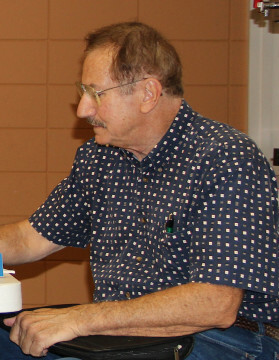 During the Feb. 4 Siesta Key Association (SKA) meeting, Secretary Joyce Kouba introduced a new board member, Harold Ashby. An email blast sent out last week in advance of the Feb. 4 Siesta Key Association program obviously was successful in netting an exceptionally good turnout. When board member Beverly Arias asked how many of the approximately 70 people in the Parish Hall for the session had come because of that extra notice, plenty of hands shot into the air. “We would love to continue to communicate with you by email,” Arias said, adding that members should update their profiles on the SKA website, including their current email addresses. And the website mechanism that allows them to renew their memberships online is functioning, she pointed out. Volpe has reminded meeting attendees that the more members the organization has, the more clout it wields as it works on behalf of them.